Wonderful choices for those looking for a romantic getaway, honeymoon or wedding scenic destination. Starry nights in the Sahara, captivating cities and calm beaches, Maghreb offers perfect choice of experiences to share with your loved one. Riads are traditional Moroccan houses with interior garden. These are incredible places to stay because of their authentic Moroccan experience. You will be able to view the intricate Moroccan architecture with its beautiful tilework. The food will be prepared by a Moroccan cook and might be one of the tastiest meals to share. For added beauty, choose the sunrise hot air balloon ride. 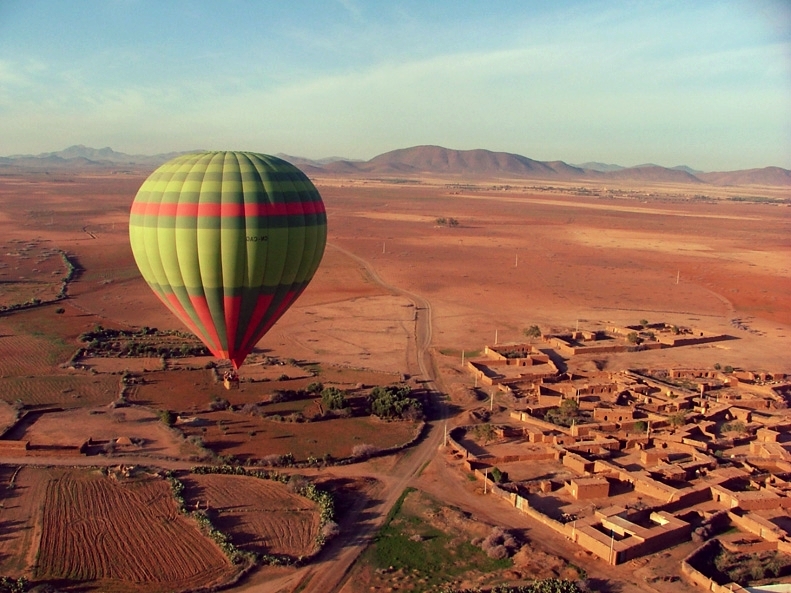 A unique choice to see the beauty of Marrakech underneath you!